Twitter 10 Twitter Tips Most Pros Don't Even Know 10 Twitter Tips Most Pros Don't Even Know Learn how to master Twitter with these lesser-known but super useful Twitter tips and tricks. Read More recently made an historic announcement when it teamed up with the NFL (National Football League). Social media standout Twitter and one of the most popular sporting leagues in the world have just joined together to offer live streaming of 10 Thursday Night Football (TNF) games, offering fans a chance to catch the games right from within Twitter’s timeline. He added, “This is about transforming the fan experience with football”. And it will do just that. 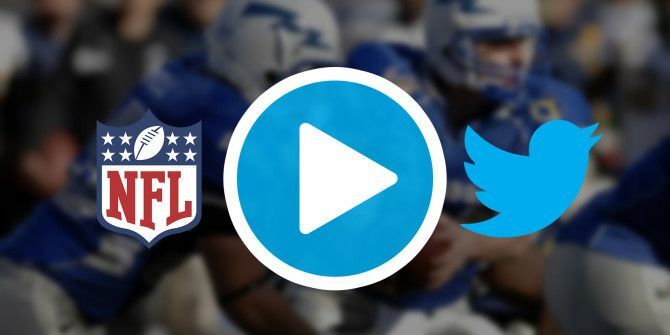 Fans from all over the world (or at least everywhere Twitter is accessible) will be able to freely view these NFL games and discuss the latest plays with their fellow football fans. It will be an experience that is sure to please even the most casual NFL fan, whether living abroad or in the U.S.
You don’t even have to be a Twitter expert How To Use Twitter Without Screwing Up How To Use Twitter Without Screwing Up Twitter can be a touch cryptic, and it's easy to make mistakes from time to time – even if you're a longtime user. Here are a few common mistakes, and how to avoid them. Read More to watch the games. Apparently, fans of the sport who aren’t logged in will be able to watch the games, which provides even more people the opportunity to tune into the action. Facebook, Yahoo, Amazon, and Verizon were all reported to have had interest in streaming the NFL games, but it appears now that Twitter beat them out. Some have said Twitter got a bargain, when it paid around $10 million to acquire the rights. Facebook and others had reportedly offered a lot more. The move can be seen as a marriage of interests, as Twitter will get a good chance at growing its userbase and the NFL will get a shot at growing its international viewership. Though there have been plenty of articles saying that the move won’t help the NFL or Twitter in terms of finances, that has yet to be seen. Analysts have also said Twitter won’t be able to grow its fanbase, but that too has yet to be seen. For me, I find the move exciting. As a person not living in the U.S. but interested in the NFL, the games being streamed on Twitter give me the opportunity to easily watch a game without paying, and saves me time from searching for the best stream, a move that often leaves me watching grainy footage. 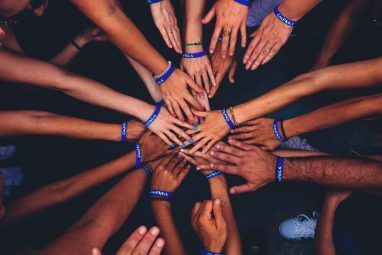 It hasn’t been clarified how the service will be streamed or what to expect, but we think it’s fair to assume that Twitter will invest in the appropriate services needed and offer the best possible experience. What does this mean for the future of television? A couple of things. It means that traditional TV execs may be forced to make moves to appeal to the demands of consumers who have expressed their desire to cut the cord 4 Real Benefits of Cutting Your Cable Cord 4 Real Benefits of Cutting Your Cable Cord In the end, I decided to cut the cable. Abstaining from cable television has a number of advantages. Read More and watch more freely. It also means that people are willing to cut their cable cord. In a recent survey of 59 people, respondents felt streaming services offered more TV and movie choices overall at a lower price than traditional services. Another survey of nearly 2,000 people in the UK showed what The Telegraph said was the death of traditional TV viewing. The death of traditional TV viewing has been a hot topic for the past few years. These surveys show that people are less interested in traditional TV viewing and are ready to cancel their cable Cut That Cord! How to Ditch Cable Cut That Cord! 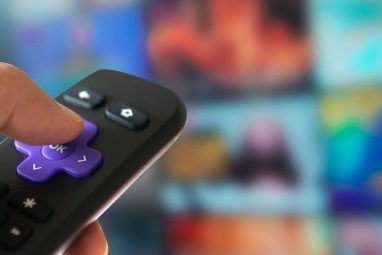 How to Ditch Cable If you've read about the cord-cutting phenomenon but aren't sure where to start, this is a guide to cutting the cord and ditching cable TV for good... Read More , and start viewing movies, shows, and sports more freely and across multiple devices. “This is one element of a much broader strategy to provide the next generation of real-time content”. Why is his comment important? It represents the flexibility by big time networks to increase viewership and invest in other means to show their product, and not just with cable companies. Last year, Yahoo! delivered a free, global live stream Yahoo Streams NFL Game Online, Skype Update Fixes Bug, & More... [Tech News Digest] Yahoo Streams NFL Game Online, Skype Update Fixes Bug, & More... [Tech News Digest] Yahoo streams the NFL, Skype fixes character bug, Bethesda trails Fallout 4, Apple recalls Beats, Hound battles Siri and Cortana, and Geralt of Rivia steals The Witcher 3. Read More of the matchup between the Jacksonville Jaguars and Buffalo Bills who played in London’s Wembley Stadium. According to the NFL, people in 185 countries viewed the match, and 33 percent of the total viewers were of an international audience. Those numbers are a big deal, especially considering that the NFL has been trying to break into the international market for some time. Yahoo has also paired with the National Hockey League (NHL) to freely show a “Game of the Day,” is now streaming select Major League Baseball (MLB) games, and has recently struck a deal with the Professional Golfers’ Association (PGA) to show select events. It seems more and more professional sporting leagues are jumping on board to freely offer their content, which can only be good news for sports fans across the globe. And the best news: the games are easily accessible. The NFL game on Yahoo last year could easily be viewed on computer or smartphone, and it can be expected that it will remain easily available now and in the future. To watch the games broadcast on Yahoo: download the Yahoo Sports app on your iPhone or Android [No Longer Available] device. If cable companies aren’t worried yet, they should be. Twitter’s move to broadcast the NFL and Yahoo’s commitment to air major league sports are just more nails in the coffin of traditional TV. With more options, people are more prone to chose which ones benefits them. And watching free video across multiple devices is one option that traditional TV networks have proven not able to match (or even willing to explore). If the networks can’t keep up, even more options will become available. Freedom of choice is what people increasingly want, and traditional TV just cannot compete on that score. What do you think of the announcement made by Twitter and the NFL? Will this change the way you view Thursday Night Football? Do you think this announcement changes the future of streaming TV, especially when it comes to sports? Explore more about: Media Streaming, Sports, Twitter. The 10 Best Ways to Read Comics Online for FreeWhich Amazon Prime Subscription Is Right for You? Nowadays speaking about Instagram you always think about growing audience. And In most cases people use apps and special services like zen-promo.com to get more followers faster. And I agree with them because with app you have more possibilities. First of all, you find such people who like your content and it means a lot for building strong community. Second, it shows your progress and current status. Geolocation is included too. I think it's perfect tool for businesses and bloggers. Whatever Provider You Choose, You Will Be Trapped. Watching Live Sports Being Constantly Interrupted By Commercials - What Kind Of Sports Fans Are Those ? ...And Do Not Tell Me There Is No Market For Them - If Nothing Else, SKYSPORTSF1 Is The Only Exception I Know. I remember an article that said the NFL shows something like 30 minutes of actual football. It's a shame. But unfortunately that's the name of the game right now. BUT we can better dictate how we watch video content, as I have written above. There Are All Sorts Of Competitors Out There - Do Not Ask, Do Not Tell.